Is this a problem for indie authors? The self-published author who does all the writing, editing, formatting, cover design, and marketing independently. When the books involve a variety of subjects, categories, genres, writing styles, etc. The common implication is that the jack-of-all-trades knows something about many subjects, but is the master of none. Every year I encounter several students who not only ace one of my classes, but tend to earn top scores in all their classes. I interact with many people who have expertise on several subjects. I’m not just talking about double and triple majors, or necessarily students. Do you have any know-it-all acquaintances who you would rely on for information on any number of topics? Authors need to be well-versed on several matters. For example, in addition to storytelling and writing, fantasy authors also need to understand weaponry, fighting, mythical creatures, and a host of topics seemingly unrelated to writing. Nonfiction experts need to know more than their subjects: They must also be able to explain things in a way that the audience can understand, which is a much unrelated skill. Many famous authors would be described as a jack-of-all-trades. For example, consider Robert A. Heinlein, who primarily wrote science fiction and fantasy. He spent ample time doing research on biology, chemistry, medicine, rocket science, astrobiology, geology, mathematics, and many other topics. The level of detail that show up in his stories is amazing when you consider the variety of expertise that is entailed in his many novels. Other famous authors weren’t just self-published, but ran printing presses and were involved in a variety of hobbies and business ventures. 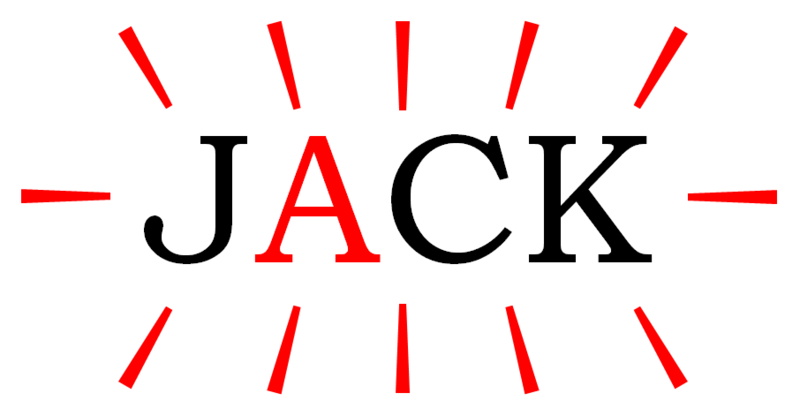 Almost all of my favorite authors would be considered jacks(or jills)-of-all-trades. Life experience, both range and depth, can provide valuable insight to authors. Writers who know much outside of their domains have more resources at their disposal for writing their books. Although some books are written by medical experts, the layman sometimes finds the language unclear, the content intimidating, and the reading impersonal. Some books are written by non-experts, but although the author may lack expertise, the author may make up for this through ample research, speaking from personal experience, or having a knack for clear explanations that the layman can understand. The ideal case is that the author excels at both—expertise in content combined with clear, personal language. Hey, that’s a jack-of-all-trades who excels at both. An alternative is a book with two coauthors, one who has the medical knowledge and one who can explain well to a general audience. This sounds great as an ideal, though in practice it doesn’t always work out as well as it sounds. While teamwork has much potential, it also entails cooperation and coordination. Finding the best expert and best expository writer to collaborate on the book is a challenge, too. For one, those with the best-looking resumes don’t always deliver results to match. Either way, I appreciate the time and effort authors invest to provide helpful information. In my experience, sometimes the single author’s technical book helps me more than a similar book that was coauthored, and sometimes it’s the other way around. As a reader, I haven’t observed any reason to automatically disregard an author who tries to fill too many roles. The best criteria I see is the Look-Inside-the-Book; that seems to be a much more reliable indicator than whether the author has coauthors, has a relevant degree, hired an editor, etc. Just because you don’t see a coauthor, editor, cover designer, or publishing label mentioned on the product page or copyright page, this doesn’t mean that the author didn’t seek and obtain valuable help. Several pairs of eyes may be used to provide feedback on the writing and to edit the manuscript. The author may hire an editor who doesn’t want his or her name publicized on the product page or copyright page. 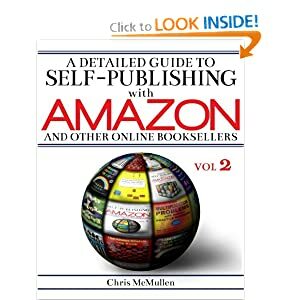 There are numerous resources for all facets of self-publishing online and in books. Most indie authors research several publishing topics. After publishing several books, each indie author has gained much experience with all aspects of publishing, often becoming not just a jack-of-all-trades, but also excelling in many areas. What Does Your Author Page Say? Do you have different kinds of books on your author page? Will readers wonder if you are a jack-of-all-trades? If so, you might wonder if you may be losing sales from readers who assume that you must not have mastered either trade. Will including different books on your author page deter sales? Maybe, maybe not, but there is another point that may be more important: There will also be readers who check out your other books and buy multiple books, whether they are similar or different. You’re more likely to get multi-book sales from similar books, but you will get multi-book sales from different books, too, provided that the first book pleased the reader. It’s easiest to market books in your own name. You could adopt a pen name for different kinds of books, but then it’s really hard to market multiple names. Many people know you or know of you; every day, you meet new people and have the chance to mention that you’re a writer. You lose your name recognition when you adopt a pen name. Unless you write children’s books and also write books with mature content, it may be better to put all your books in your own name than to separate them using a pen name. You might lose a few sales due to the jack-of-all-trades perception, but you might gain even more sales from people who know or meet you and from multi-book sales (perhaps not all at once, but readers who enjoy one book now and check out a much different one months from now). 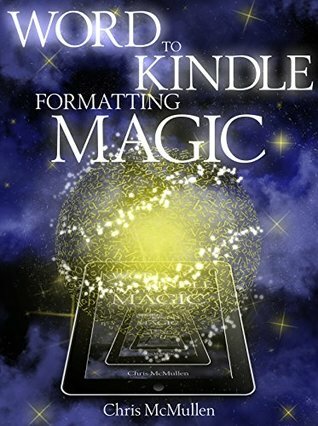 I started self-publishing to share my passion for a fourth-dimension of space. You have to excel at mathematics to get a degree in physics, so the geometry aspect fits right in. I also coauthored a half-dozen papers on the collider physics of extra dimensions, which are published in professional physics journals, such as Physical Review. This fits right in with my expertise; plus, as a teacher, I have experience explaining abstract concepts clearly (though not all teachers excel at explanations). 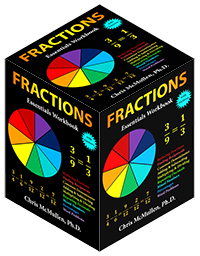 My Improve Your Math Fluency series of math workbooks is also closely related to my expertise. I observed that many university and high school students lacked fluency in fundamental arithmetic, algebra, and trigonometry skills. 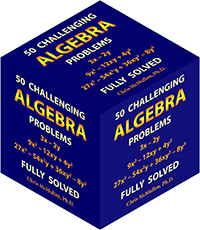 This series is my effort to help improve math fluency. My science books also relate to my background in physics. I have a basic conceptual introduction to chemistry, a basic introduction to astronomy, and an advanced physics textbook. But my blog isn’t about physics, it’s about self-publishing, and I have written books on the matter. Does this make me a jack-of-all-trades? I don’t think of myself as just a teacher, but a writer and a teacher. I’ve self-published dozens of books, which gives me some experience. I prepared my first book over 20 years ago, although I first published in 2008. I have also drawn thousands of technical illustrations on the computer, written and edited numerous articles (the half-dozen I wrote for physics journals are quite technical, and came with a set of formatting guidelines that paralleled self-publishing in many ways), and used several software packages to write, format, and illustrate, including extensive use of most editions of Microsoft Word since 1997. I’ve become just as passionate about self-publishing as I am about physics and math (perhaps more so): I love to share and discuss ideas here at my blog. At first glance, the word scramble books that I’ve published may seem out of place. How does this relate to physics? This actually started when I was staring at a periodic table while giving a final exam: I realized that I could make thousands of words, like ScAtTeRbRaIn (scatterbrain), using only symbols from the periodic table. I shared this idea with my mom, and we decided to make some word scramble books. My mom loves word puzzles, especially word jumbles, and she is very meticulous (she used to be a technical writer), so she was a good fit to write these books. I’m a coauthor of these books, but my mom deserves most of the credit. As an added benefit, it was a family project. My most unrelated books are on golf stats and chess. I thought about using pen names for these, as they don’t relate to physics, but I’m glad that I didn’t. Thousands of people know my name, and while most people who know my name who buy my books pick a math workbook, science book, or self-publishing book, I still sell a significant number of golf and chess books to people who’ve heard of me (plus many who haven’t, who apparently weren’t deterred by the variety shown on my author page). I actually wrote these books for my own personal use, but published them thinking that others may find them useful, too. Also, these were among the first books that I self-published, and they gave me some valuable experience before formatting my more technical books. If you feel like a jack-of-all-trades in various ways, my advice is not to sweat it too much. You have more important things that you can worry about. But jacks-of-all-trades tend to work hard, so you should be keeping yourself too busy to worry anyway. Go get more work done, as that will be more significant than this issue. Ensure that your blurb and Look-Inside-the-Book show your strengths. Work on your weaknesses. Get help shoring up your weaknesses. Not just in the Look Inside, but throughout the book (because a sudden change after the Look Inside will impact reviews). Where plausible, using your own name carries a marketing advantage and can help you with multi-book sales. Every once in a while, help spread the word about the benefits of being a jack-of-all-trades or mention a story about a famous author who was a jack-of-all-trades. Help paint the perception that it’s not necessarily a bad thing; it may even carry some benefits. If you hire an editor or cover designer, mention of their names on the product page (through the editor or illustrator fields) or on your copyright page (traditional publishers often only list them on the copyright page) might help to show that you’re willing to seek help when you need it. The inclusion of a references section for nonfiction can show willingness to do research. But if you don’t have any help to show, instead of worrying about it, start working on your next book or do some marketing; those things are more important. I think of my grandparents farming, no degrees, but they had to have knowledge and skill to so many different things. Nice one Chris…I especially appreciated and enjoyed your “Do I Know Jack” I actually read it as “I Do Know Jack”…strange. Maybe that’s because I’m familiar with some of your background having read up on you…in a good way. I recently read an article that proposed authors stick to one genre…”what they know.” I find this kind of narrow-mindedness to be somewhat insulting. If the persons saying these things want to limit themselves in this way, that’s fine by me, but to try and coerce others to do likewise by degrading what they do…that’s where I draw the line. It may be interesting to note that most novels involve a mixture of different genres, which makes switching seem even less like a big change. Many writers like to explore variety, and those who excel at it often excel regardless of what they write, in my estimation. Such a switch may even bring refreshing changes to a genre. That’s probably why we struggle putting work into one particular genre. I recently just changed Miedo and put it into Drama…I originally had it in horror and psychological thriller due to some of the elements in the story, but after watching a couple of dramas on tv, I thought, that’s what Miedo is, it’s a drama not a horror. Thanks Chris Mullen. Being a Jill of all trades I enjoyed reading this. My life has been very varied and this is reflected in the books and the articles that I write. The non-fiction requires a great deal more research and technical detail which is why I always have a fiction book in process at the same time for a bit of light relief. look forward to reading both…..have a good week.